Ice cream is an undeniable crowd pleaser. And during the holiday season, when everyone from babies to uncles to in-laws is trapped in a small abode together, you’re looking for something that makes everyone happy (and not crabby) more than ever. Well, that’s where ice cream comes in. Bust out a pint or quart of premium FYI Delray ice cream or gelato and the frowns are sure to turn upside down. 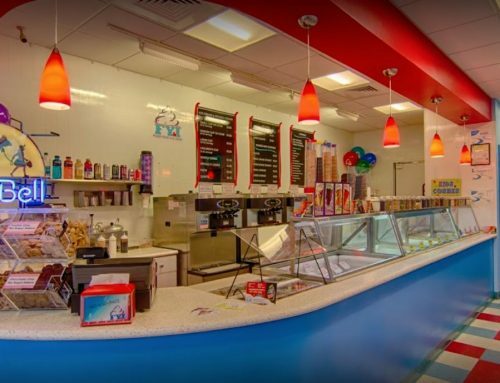 Unlike the gift exchange, ice cream will leave everyone feel satisfied, especially when you are choosing one of the many premium flavor options at FYI Delray. 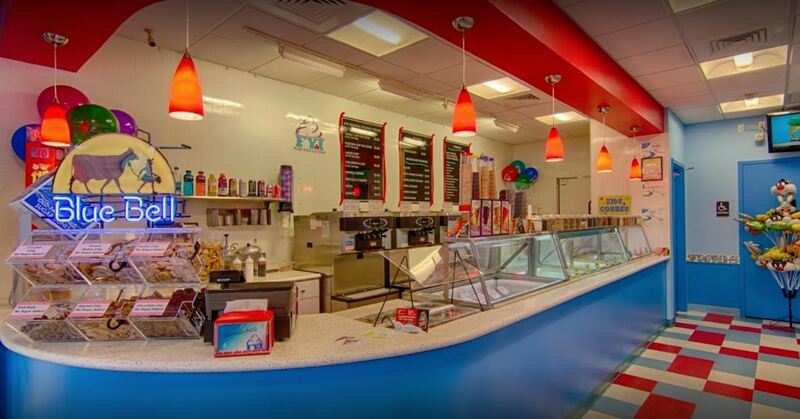 And the flavors don’t just extend to ice cream, FYI Delray also features yogurt, gelato, sugar-free and vegan ice cream. Regular ice cream offerings include: vanilla, chocolate, almond praline, stellar coffee, double fudge brownie, cookies and cream, peanut butter cup, cookie dough, butter pecan, fudge track, mint chocolate chip, rum raisin, strawberry, chocolate chip, superman, birthday cake, cotton candy, pistachio, banana cream pie and black cherry vanilla. Yogurt selections entail: vanilla, chocolate, cookies and cream, nutella, coffee and peanut butter. Regarding sugar-free options, there is: double chocolate, sea salt caramel, blueberry, raspberry cheesecake, cake batter, pistachio, toasted marshmallow and coconut. With gelato, you can choose from: dark chocolate, chocolate hazelnut, caramel macchiato, cookies and cream, sea salt caramel and stracciatella. Lastly, there are vegan options, including: coffee, vanilla fudge, raspberry and dole pineapple. So what’s the best way to sample these delicious flavors during the holidays? Well, for one, you could take a family field trip to FYI Delray and also enjoy the amazing sights on Atlantic Avenue, which is a great way to get out of the house, which can often begin to feel cramped anyways when a lot of family is staying at your house. You could make a whole night out of seeing the sights on atlantic while sampling ice cream. Some of the coolest attractions on atlantic are the many boutique shops, fun restaurants, nightlife, the infamous pineapple mural and the beach, of course. However, you may just want to stay in, watch some holiday movies and just hang out with the family. If this is the case, you should opt for having someone pick up a pint or a quart of FYI Delray’s delicious ice cream, gelato or yogurt and bringing it back so the whole clan can enjoy it. This way you can stay in and do a myriad of fun-filled family activities including: watching holiday movies, wrapping presents, decorating the christmas tree and much, much more. So you may be nervous about the amount and variety of family members inhabiting your house during the holiday season, but remember, if you can engage their sweet tooth, you’ll keep them satisfied. The holidays might make us all, especially those hosting the season, a little crazy, but when you can unwind, you’ll find you have a lot to be grateful for- especially if the unwinding involves delicious FYI Delray ice cream. From FYI Delray to you, have a very happy holiday season and we hope our renowned ice cream can soothe any frayed nerves!